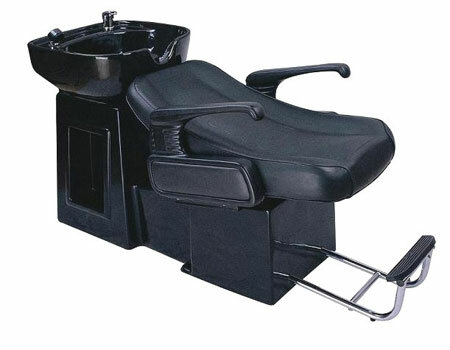 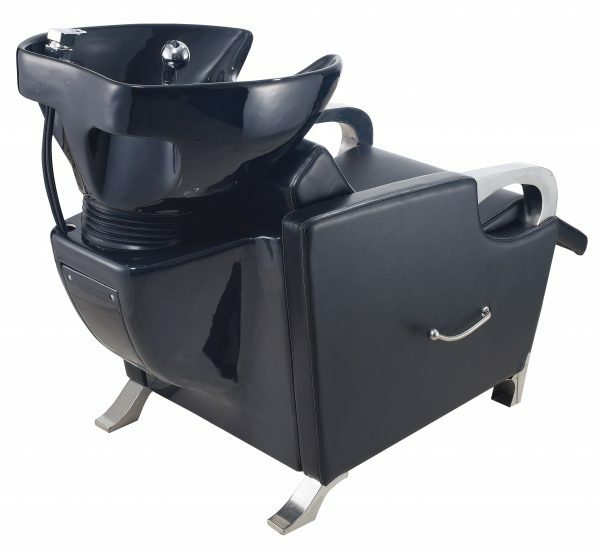 Made in the USA with first-class quality, this backwash unit built to last. 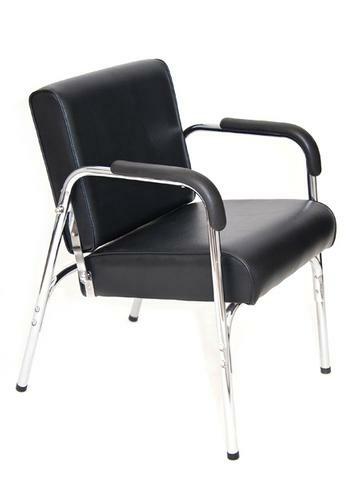 Designed with ergonomic molded black urethane arm rests and a powder coated finish metal base. 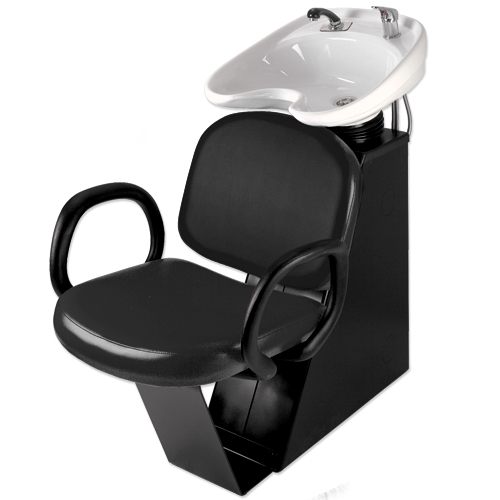 The wet station comes with a generous tilting porcelain bowl in white or black with an European single handled fixture. 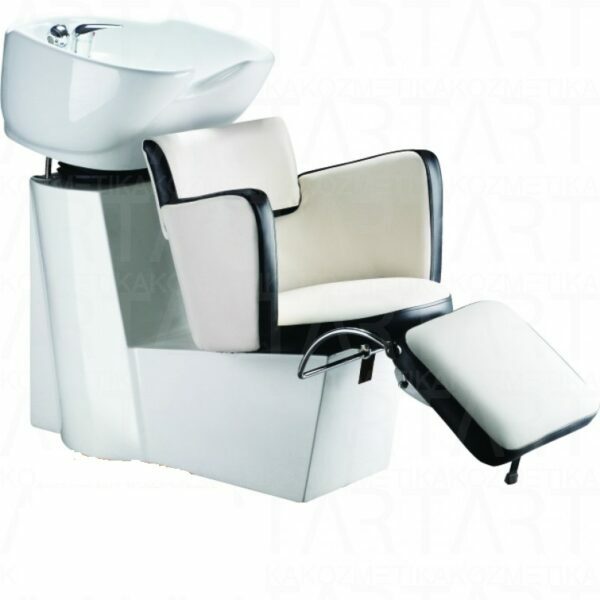 Adjustable porcelain bowl and an automatic adaptable back cushion to the customer for maximum client comfort. 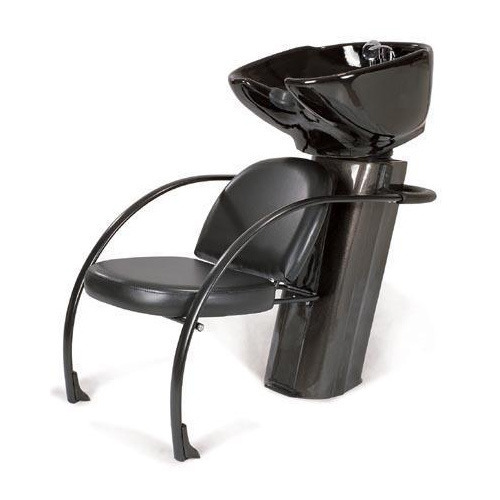 The Loop shampoo chair can be configured to be used as a backwash or side wash shampoo unit, depending on the plumbing situation in your beauty salon. 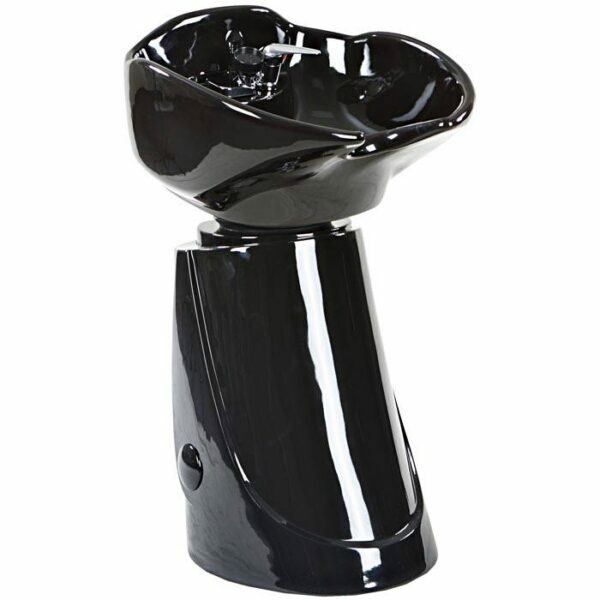 The Pibss Portable Shampoo bowl is a portable, plastic shampoo bowl that does not require any plumbing. 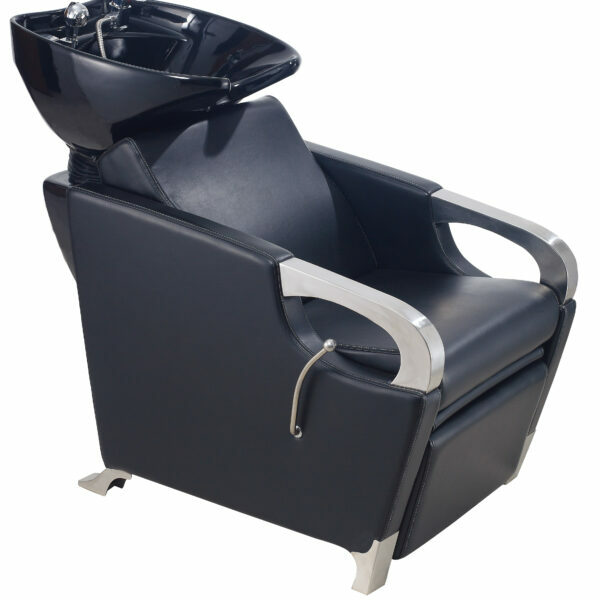 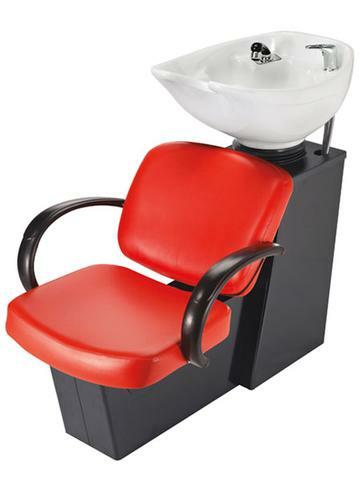 This shampoo bowl is perfect for any travelling stylist and it is very convenient. 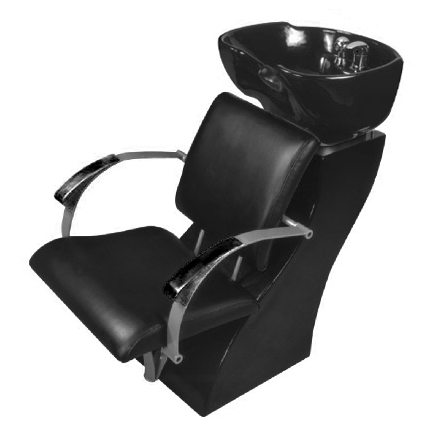 This bowl is also great for stylist who work out of their home or for use with wheelchair bound clients. 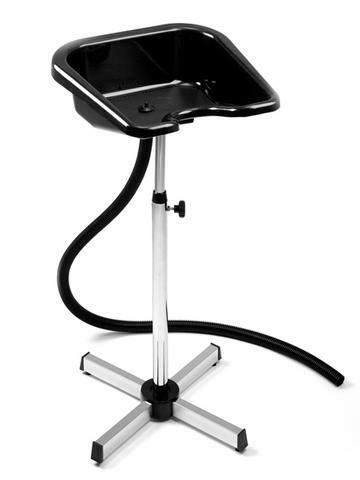 This is fully height adjustable as well. 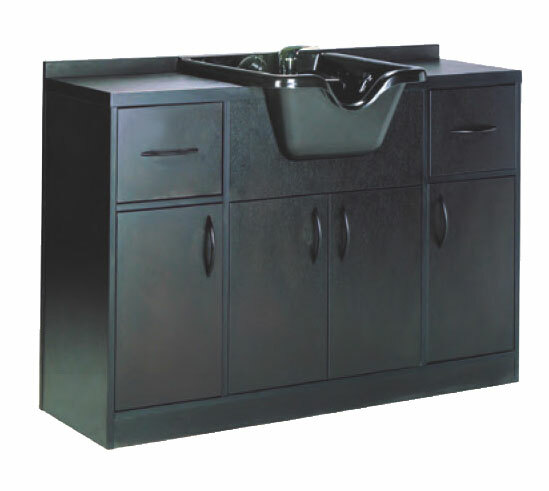 No plumbing at all is required as it Includes a five-foot drain hose.